TOTALAN, Spain: The search for a toddler who fell down a Spanish well nine days ago hit a fresh setback Tuesday, complicating a difficult rescue operation which has had the country on tenterhooks. Two-year-old Julen Rosello fell down the narrow shaft on January 13 as he was playing while his parents prepared a picnic in Totalan, a southern town near Malaga. There has been no contact with the toddler since but rescuers think they know where he is inside the 100-metre (350-foot) shaft and have been working round the clock to get there. Although workers had been hoping for a breakthrough in rescue efforts on Tuesday, the operation hit a fresh technical hitch, further delaying the rescue. “Those who are here risking their lives have faith that he is alive and that we will pull him out alive,” said Bernardo Molto, spokesman for the Civil Guard police force in Malaga province. The unprecedented rescue operation has been fraught with complications. The well is blocked by a layer of earth, sand and stones believed to have been dislodged when the toddler fell into the shaft. An initial plan to reach him with an angled tunnel was abandoned because of repeated collapses and landslides, so rescuers began digging another shaft parallel to the well, 60-metres deep, which was finished late on Monday. The idea was to secure the shaft with tubes then take miners down in a specially-made cage to start digging a horizontal tunnel to the site where they believe the child is. But the tubes designed to secure the shaft didn’t fit. 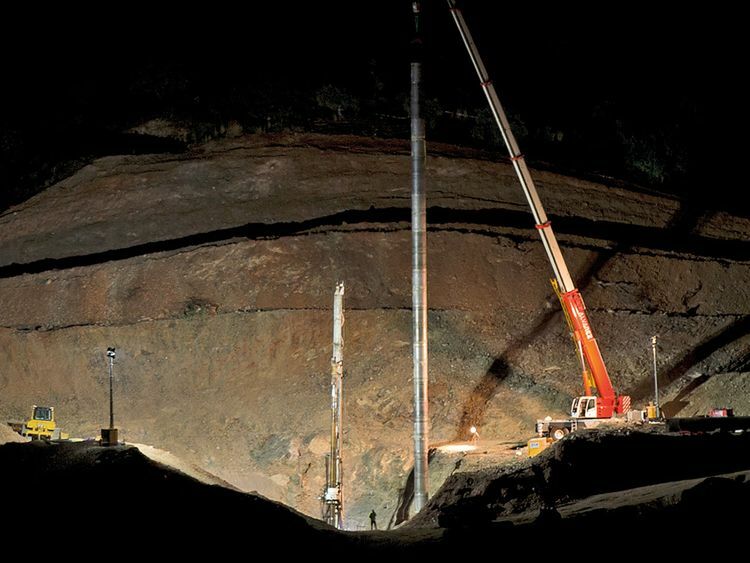 “There were technical problems involved in putting tubes in the shaft beyond a depth of 40 metres,” said a government spokesman in Malaga, explaining that drilling work was under way to expand the hole. The tubes will then have to be placed down the shaft to secure it before miners can descend with hand picks to dig through the four metres separating them from the well where the boy is stuck — in a process expected to take 24 hours.